First, divide the word into syllables and check where the accent lies. In order to do so, hear the word pronounced and identify in which syllable lies the stress. For example, in “sá-ba-do”, the stressed syllable is “sá”, in “do-min-go”, the stressed syllable is “min”, and in “a-bril“, the stressed syllable is “bril”. Knowing where the stress is will allow you to classify the words into three groups according to the position of the stressed syllable in the word, counting from the end. The last syllable is the stressed syllable (these are called “palabras agudas”), such as “abril”. The next-to-last syllable is the stressed syllable (these are called “palabras llanas”), such as “domingo”. 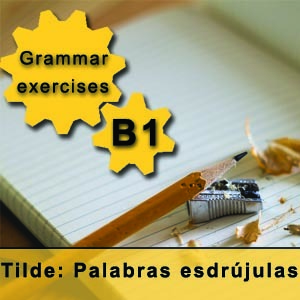 The third-to-last syllable is the stressed syllable (these are called “palabras esdrújulas”), such as “sábado”. If the word is “aguda”, and it ends in vowel (a, e, i, o, u), “n”, or “s”, there is an accent mark on the stressed syllable (for example, “camión”, “café”, “quizás”), otherwise there is no accent mark (for example., “español”, “dormir”, “Madrid”). If the word is “llana”, and it ends in vowel (a, e, i, o, u), “n”, or “s”, there is no accent mark on the stressed syllable (for example, “amigo”, “resumen”, “lunes”), otherwise there is an accent mark on the stressed syllable (for example, “difícil”, “azúcar”, “lápiz”). If the word is “esdrújula”, it always has an accent mark on the stressed syllable (for example, “sábado”, “teléfono”). Step 3: Practice the Spanish accent rules! We already practiced the Spanish accent rules for words which are “agudas” and for words which are “llanas”. Now it is the turn to practice the accent mark in words which are “esdrújulas”. 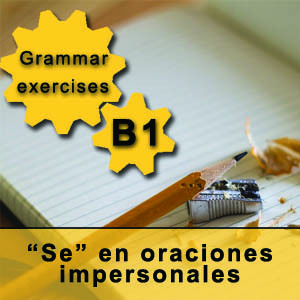 Once you have this clear, we will bring you an exercise which mixes all these different kinds of words. Will you be ready? 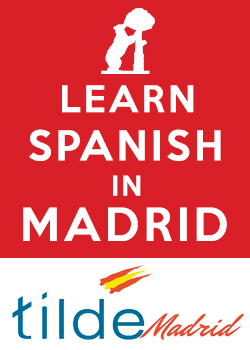 In our Madrid Spanish school we surely are!